Please help us welcome Lesley and Tom to the Scheme Family. 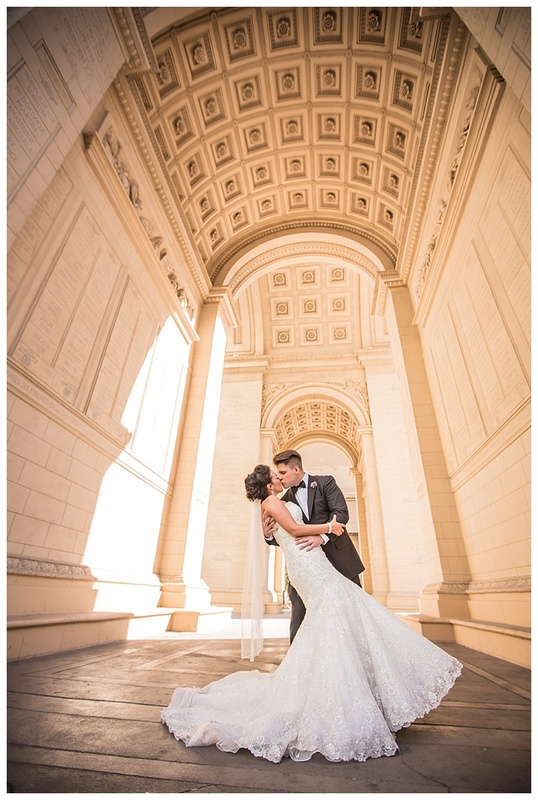 They are a perfect match for us and we are so excited to be a part of their wedding planning. 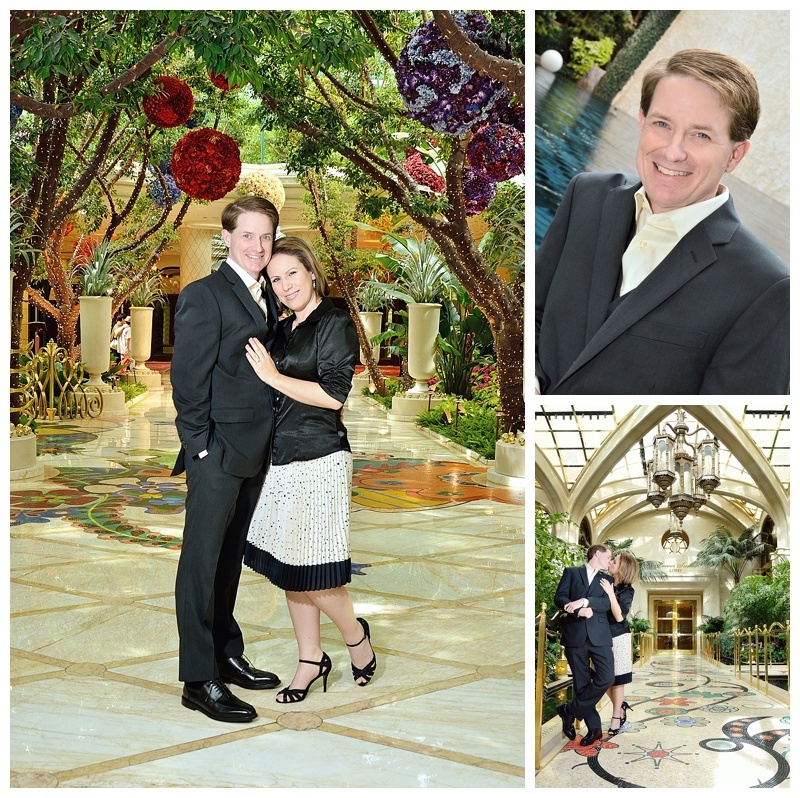 We are currently right in the middle of designing their romantic wedding at Bellagio. Their ceremony will take place at Hyde Nightclub with the Bellagio fountains as the backdrop. Guests will then be invited to Monet Ballroom inside Bellagio for a gorgeous candlelit dinner. Lesley and Tom’s wedding is taking place April 2015. Leslie tells the the start of their love story best. “Tom was working the overnight shift at 24-hour Walgreens and I was working nights at a 24-hour CVS. We would call each other at night to ask about suspicious prescriptions. After about 6 months of talking on the phone, Tom asked me out. We finally met when he picked me up for our first date.” Oh how we love romantic stories! 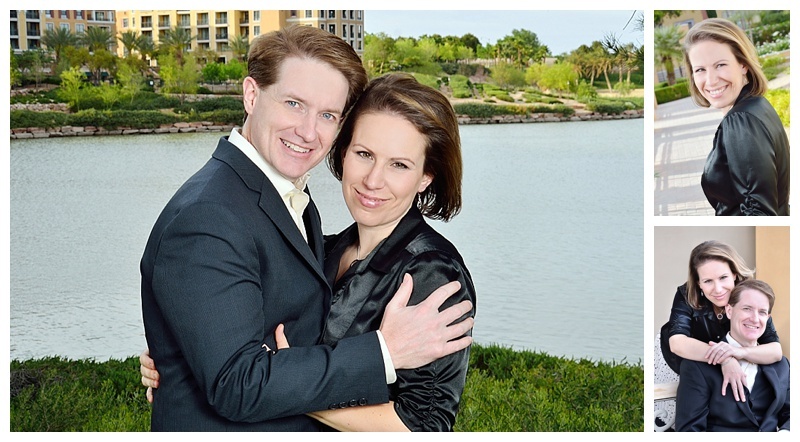 Lesley and Tom currently reside in Phoenix, but love to travel. If they are not far from home visiting different sport stadiums, historic landmarks or museums, you can find them at home grilling, swimming or watching TV with their 4 cats. I am not one for cooking at home too often. My husband and I love going out to dinner and trying new Las Vegas restaurants. The Valley has had several new restaurants open up shop and I am dying to try them out and of course see how they would work for Las Vegas weddings. Recently, I went out a with a few girl friends and we tried the new Carson Kitchen in downtown Las Vegas and let me tell you… it was beyond amazing. I crave it every day now. With a menu that will attract any taste from starting plates of bacon jam and tempura green beens to entrees of short rib sliders, steak or burgers, you can not choose wrong. Prices that are less than $20 per plate, a specialty cocktail menu to impress and the quaint intimacy of a small restaurant, this place is a must go. 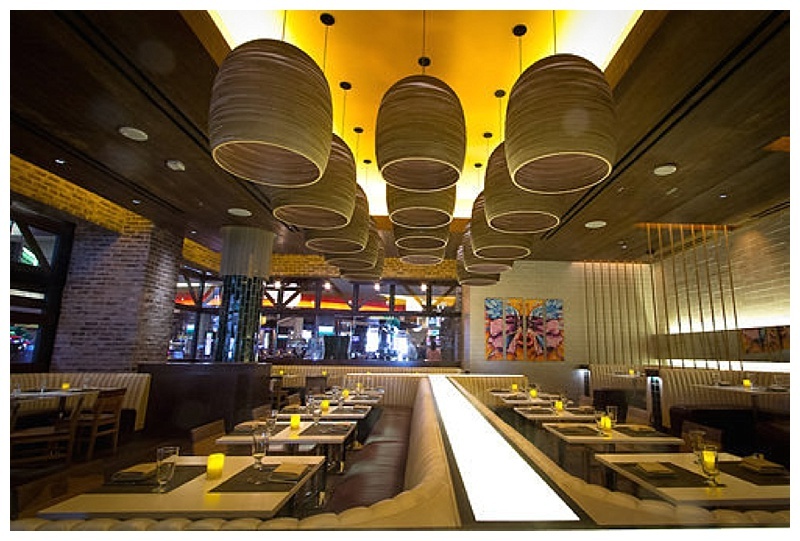 I have been a fan of Giada De Laurentiis for quite some time and when I heard she was opening her very first restaurant here in Las Vegas, Giada, it had me jumping for joy. I have yet to try this place out, but from the looks of it I will be loving it from the moment I step in the door. 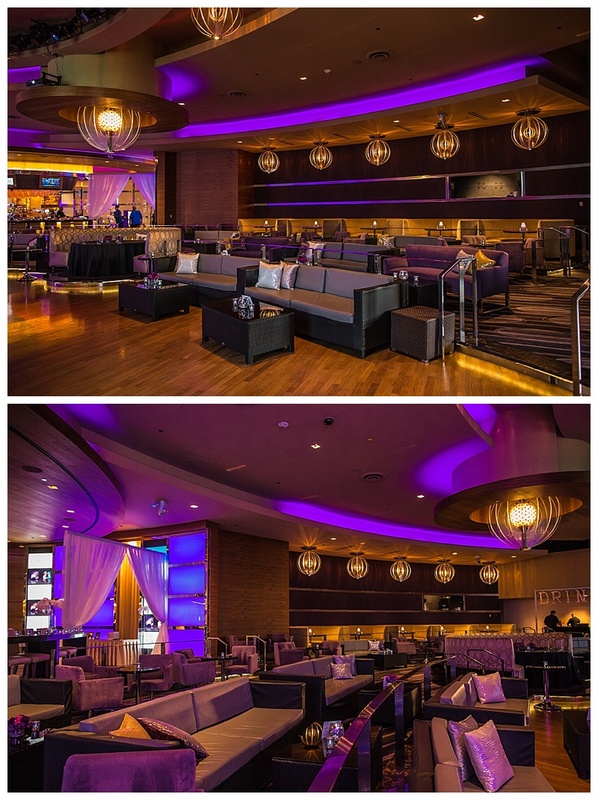 Giada has amazing views of the Las Vegas Strip and is located inside the new boutique hotel, The Cromwell. With a capacity of seating 260 guests, I have a feeling that this is going to be the new hot place for rehearsal dinners and large receptions. Red Rock Hotel & Casino recently did a little restaurant face lift and added several new dining locations. Mercadito is for sure on my places to go in the near future. With a recent opening of just yesterday, I believe this is going to be a new fun place for all of those Summerlin people to dine. 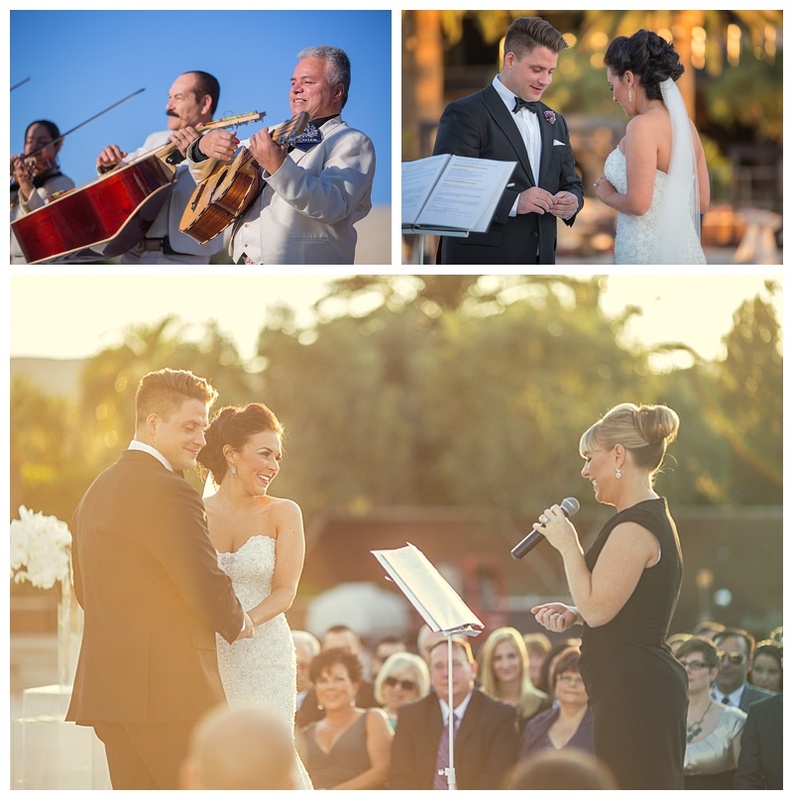 Hosting a Las Vegas wedding was an easy choice for this couple. They live in Canada (hello more fellow Canadians!) but have family and friends that live and play in Vegas. Kelle and Morgan come to Vegas often and knew it would be a hot spot for their guests. 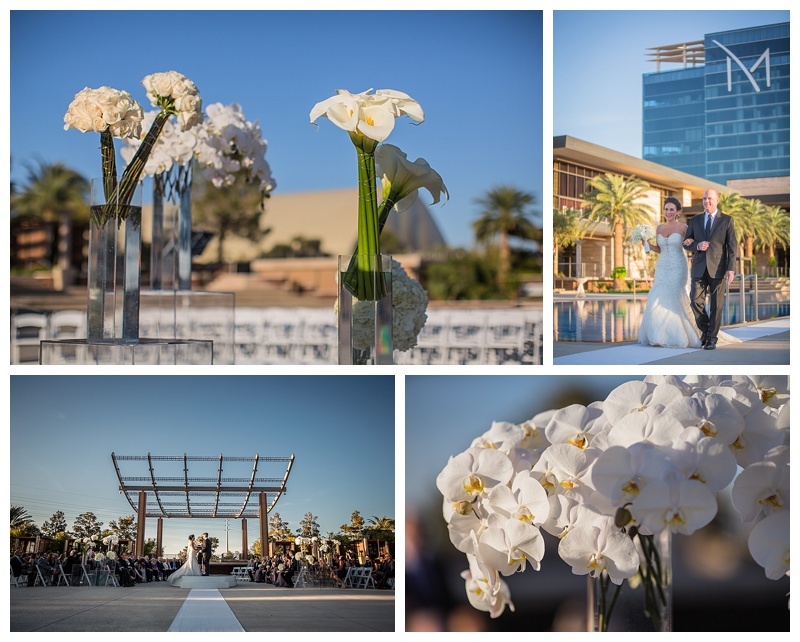 Kelle knew she wanted a modern all white wedding ceremony so we decked it out with a white round riser, modern lucite vases with white calla lilies, white roses, white orchids and white hydrangea. 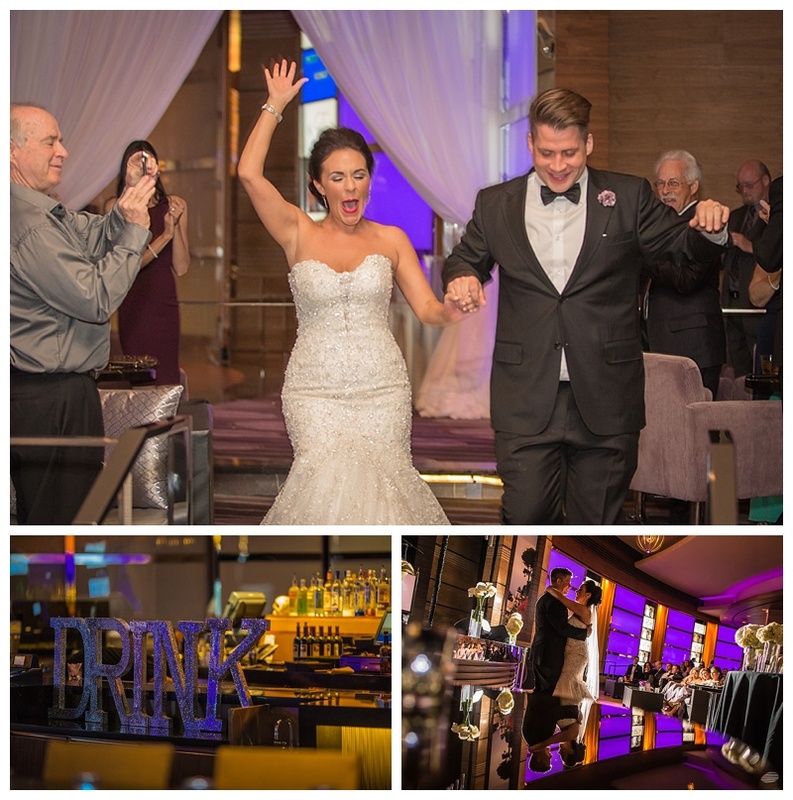 A dramatic entrance was made by Kelle and her father when they walked the 250 feet (yes, really…that long!) to meet Morgan as a mariachi band played in the background. Family and friends surrounded Kelle and Morgan in a semi circle formation and created the perfect capsule of love. 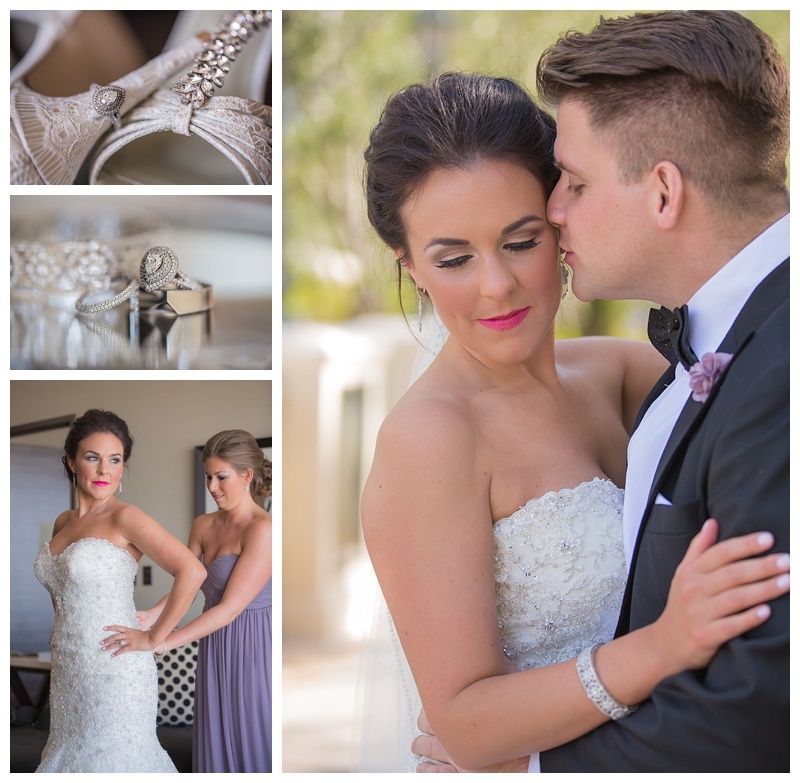 The reception held in Ravello Lounge was sparkle, glam and glitter. Scheme created custom silver glitter letters indicating the main areas of the party: “EAT…DRINK…PARTY” Stations served Mexican food specialties and lead into a night of dance after dance after dance as DJ Harry O projected music videos onto a large screen and guests enjoyed custom cigars hand rolled on the balcony.